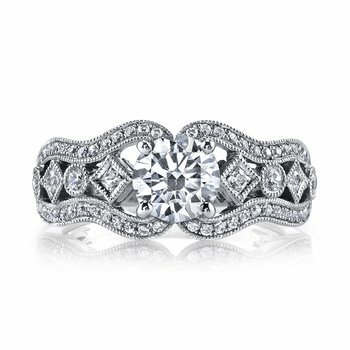 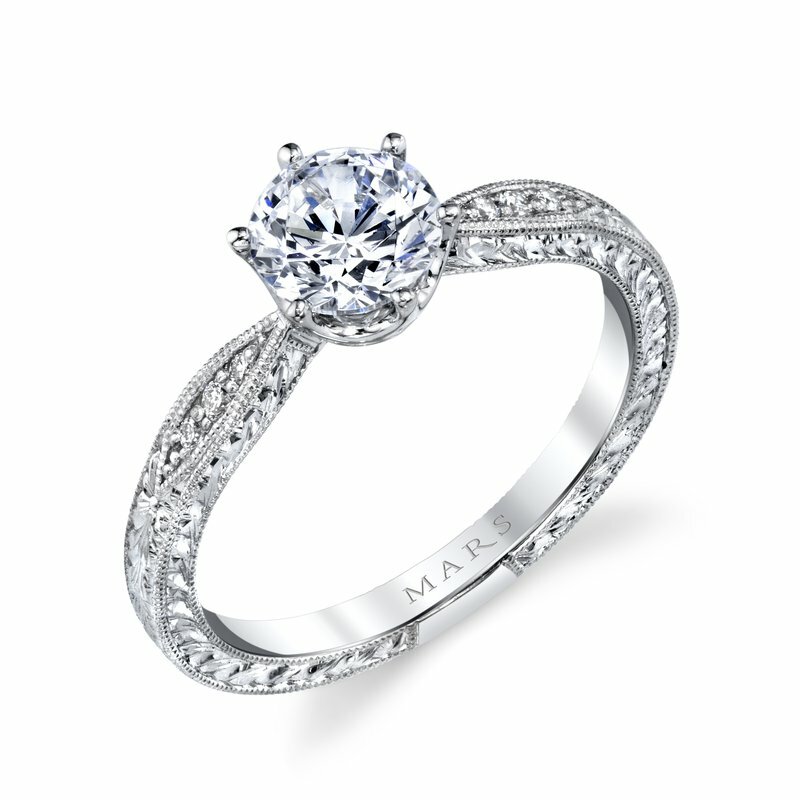 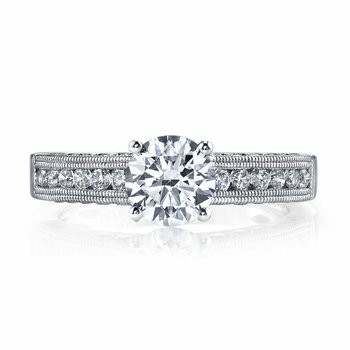 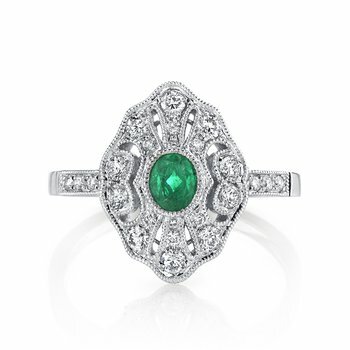 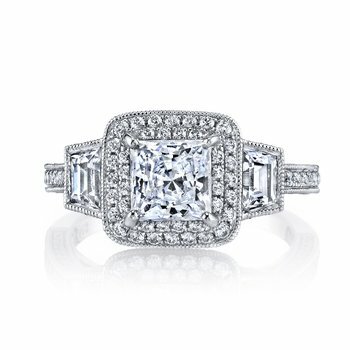 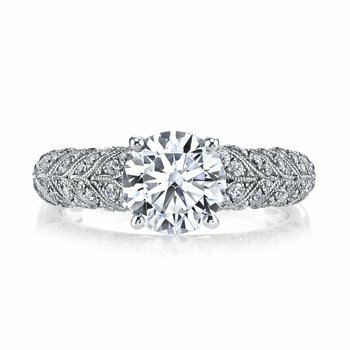 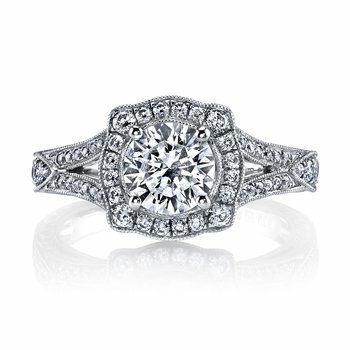 MARS Fine Jewelry: MARS 27350 Diamond Engagement Ring, 0.06 Ctw. 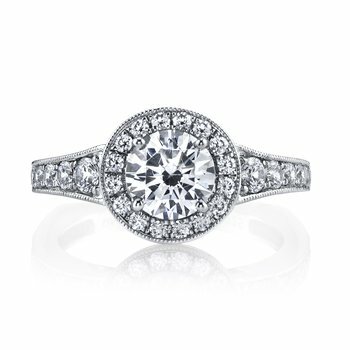 MARS Diamond Engagement Ring, 0.06 Ctw. 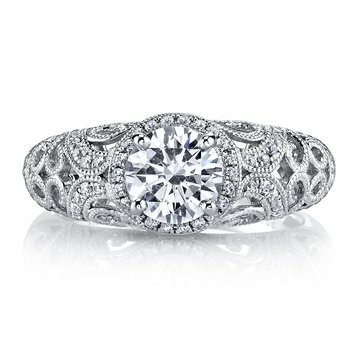 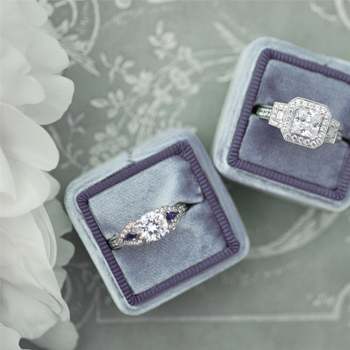 A Unique Hand-Engraved Solitaire Engagement Ring with Scalloped Detailing and Hand-Engraved Side Profile. 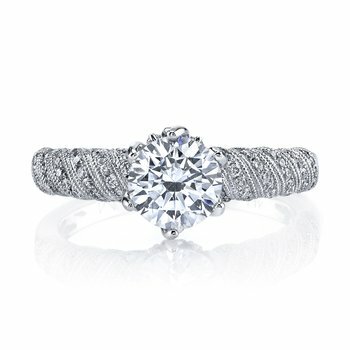 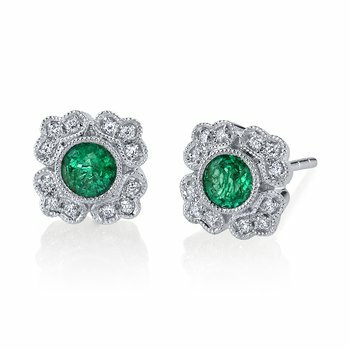 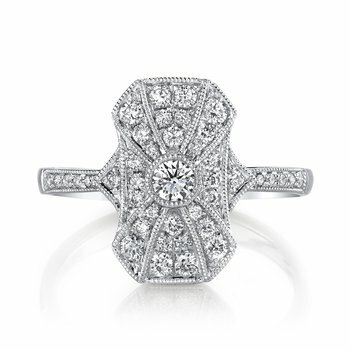 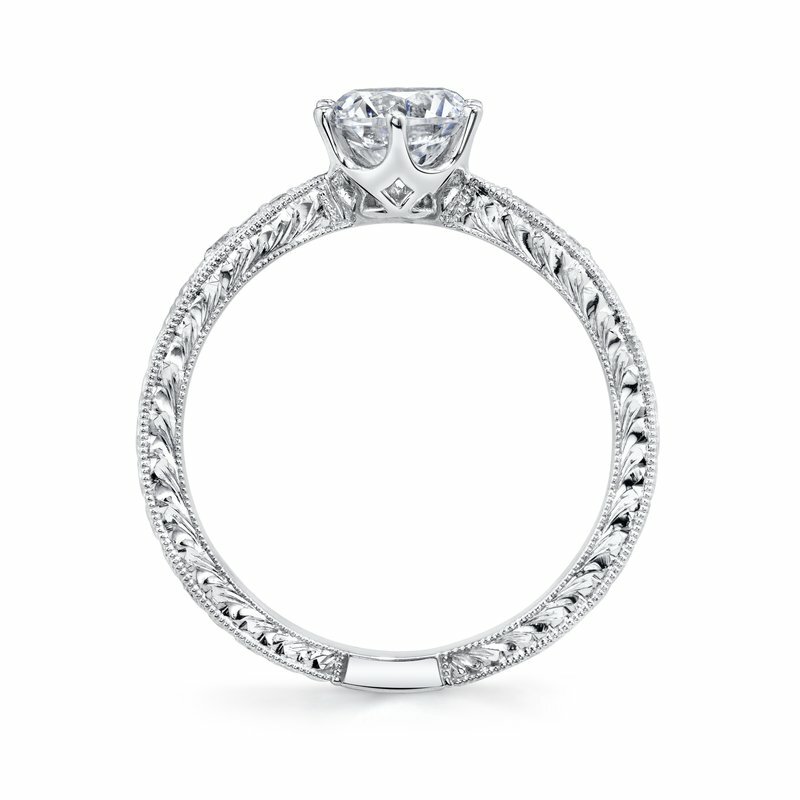 Shown in White Gold with One Carat Round Cut. 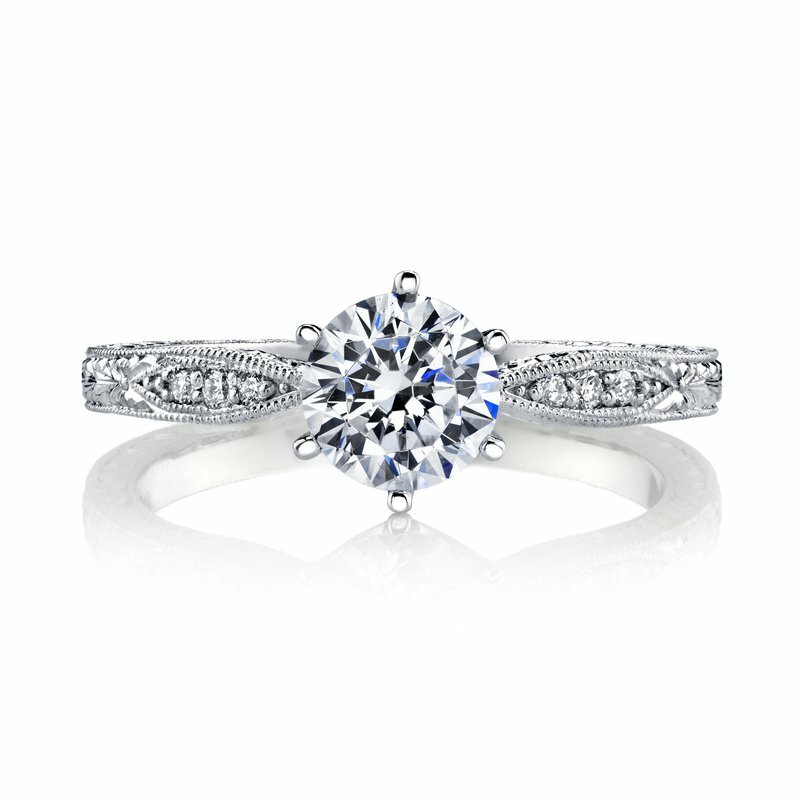 Total Carat Weight: 0.06 - Center excluded from Price. 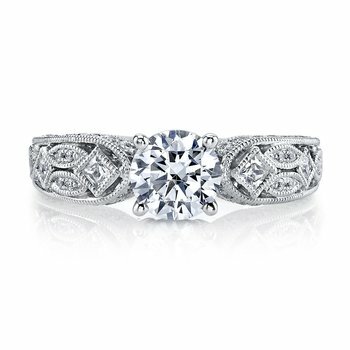 MSRP starting at $1115.00. 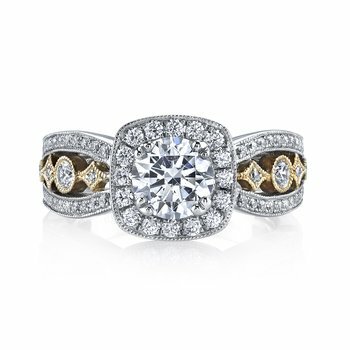 14K White Gold -- $1,115.00 14K Yellow Gold -- $1,115.00 14K Rose Gold -- $1,115.00 18K White Gold -- $1,240.00 18K Yellow Gold -- $1,240.00 18K Rose Gold -- $1,240.00 Platinum -- $1,375.00 This field is required. 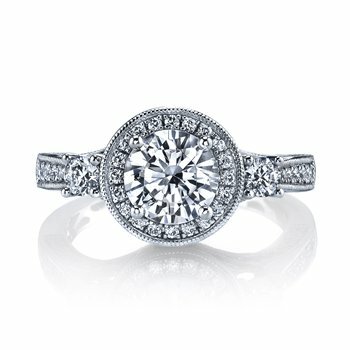 0.06 Ctw., 6.5MM Round Center Stone.